Calle Bistro is poised to become a home away from home for families and groups on the lookout for exciting food and beverage adventures. Located at EVER Commonwealth, this new food strip is fast becoming one of the crowd drawer in this part of Quezon City. After almost decade, I visited EVER Commonwealth again for a Food Craw event at Calle Bistro last Saturday. Everyone had a delightful time visiting the restaurants as they got a bite at some of the mouth-watering selections that include best-selling appetizers, classic meal favorites, popular desserts and signature beverages. The ‘Food Crawl’, according to Chie Arao-Santos, Corporate Marketing Manager of EVER Group of Companies, is a tasty preview of the many flavorful discoveries that await diners at Calle Bistro, being a new foodie hub with diverse cuisine offerings. “As the newest food destination north of Manila, Calle Bistro offers a variety of culinary options for the large neighborhood along Commonwealth Avenue, from breakfast to chilling at midnight. As a brand, Calle Bistro is family-oriented, sincere and down-to-earth. We aim to create not just a space for food, but a community through Calle Bistro where people gather for Great Eats and Great Meets – to exchange stories, make memorable moments and enjoy the best of life without driving too far away from their homes,” said Santos. For the holidays, Calle Bistro invites EVER Commonwealth mall goers to its grand food and music extravaganza dubbed ‘Eats an Affair’ which begins November 30 until December 2. Apart from restaurant hopping, visitors will be entertained by live band performances while surprise guest celebrities will be participating in the Star Bazaar activity. Among the restaurants in Calle Bistro that I was able to visit were: Sisig Society, ELM’s Kapihan and Winery, Adobo Connection, Ima Kitchen, Gerry’s Grill and Restaurant and Macao Imperial Tea. And because the Christmas season is not without spreading joys and spending quality time with those we cherish the most, EVER Malls goes the extra mile in giving loyal customers a memorable time. 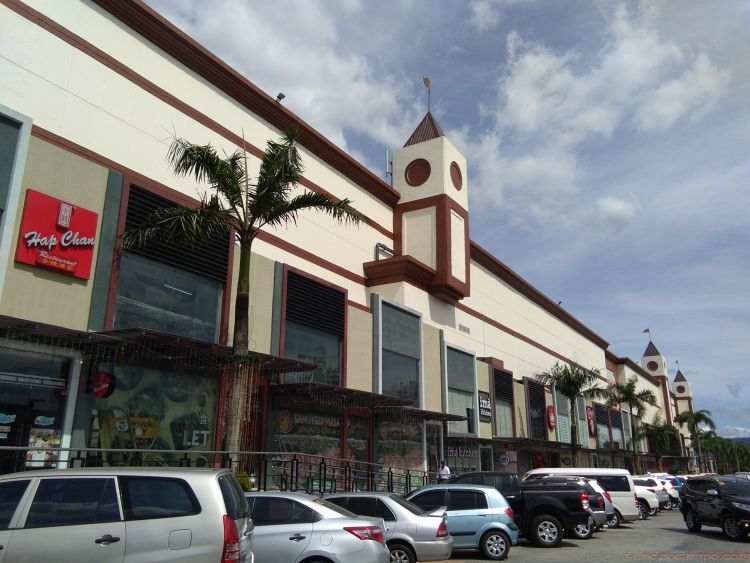 Kicking off the long list of festivities is the grand launch of the ‘Give Love this Christmas’ campaign along with the much-awaited Christmas Tree Lighting on November 17. Star Serenade Presents: Matteo Guidicelli (December 16); and Holiday Goodies: A Food Bazaar featuring well-loved holiday cakes, pastries, and other perfect gift-giving treats by #WeekendGourmetProject (December 17-January 4). 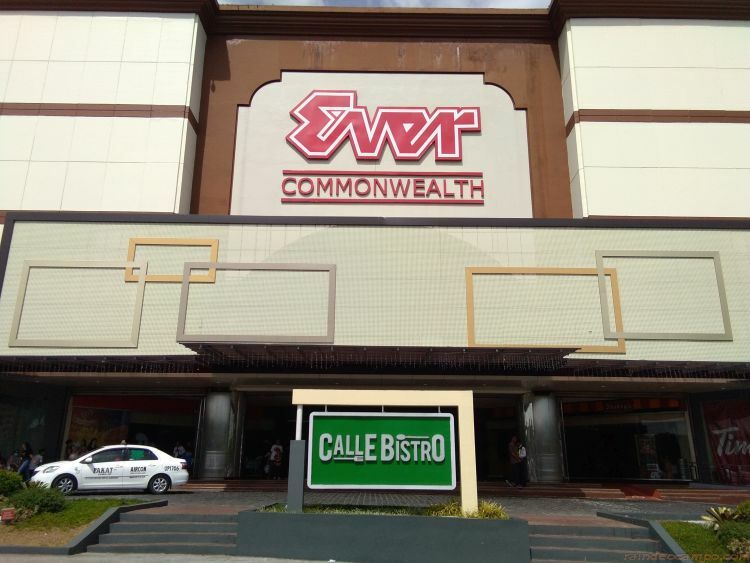 Get into the Yuletide spirit by visiting EVER Commonwealth and Calle Bistro. For more details and updates, like and visit EVER Malls’ FB page (EVER-Gotesco Malls-Official. For Calle Bistro, updates and information can be found in its Facebook and Instagram pages (@CalleBistroPH).